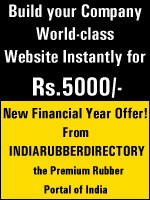 IRD is abbreviated form of INDIAN RUBBER DIRECTORY. How IRD will helpful to improve the business? As it gives business tips, world rubber buyers, rubber market trends, international happenings,Interesting business promotion techniques to all its users at free of cost. How a rubber people can use the IRD? As IRD strickly focus the targeted rubber industry people, by advertising in this portal, you can reach millions of buyers mind. People related to rubber industry such a manufacturers, distributors, consultants, associations can flash their services to the global world. How Rubber Facts will help the rubber people and students? IRD provides the clear picture of definition of polymers,classification polymer types, manfacturing techniques and their respective properties and their applications. How I can advertise in IRD? It is very easy and most cost effective method, just by clicking a register form in the home. Where I can get the standard formulations to develop my product? What is use of the IRD message Board? How Ask Rubber Experts section will help me? IRD designed this section for the welfare of the industry people to develop new products.Experts will provide innovative formulations with the best possible rates. What is the winning solutions provided by IRD ? IRD provides the most powerful and cost effective web marketing concept SEARCH ENGINE OPTIMIZATION (SE0) to all of the user at an unimaginable price. WHY SEO services is a must ? By this services your website will become an active marketing tool , which will generate wounderful flow of enquiry to your products / services from both domestic and International buyers .We position your website in top 10 place on major search engines like google, yahoo, dmoz etc.,. 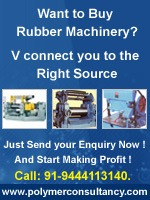 How IRD helpful to rubber professionals to get jobs for free? As IRD maintain wonderful contacts with rubber industry people. We place the right candidate in the right company. How can I register to get rubber jobs? IRD handle a separate section to provide jobs to the rubber professional. Job seeker can register their resume in the rubber jobs section at free of cost. How a industry people find a rubber professional with the help of IRD? In the Rubber jobs section, the employer can register at free of cost by filling the details of the professional needed to their company. As we maintain a complete date of rubber professional , we directed our registered job seeker based on your requirements. How a seller/ buyer can benefit from IRD? There is section in IRD called Business Made Easy, here any buyer / seller can display their products /services, which they can want to buy or sell .IRD do this service at free of cost.